An odd man showed his anti-Trump sentiments by throwing pieces of a Russian flag at the POTUS. Oddly, just moments before, the protester was pictured next to Senator Corker. The protester was identified as Ryan Clayton. The 36-year-old is president of a progressive political group known as “Americans Take Action”. 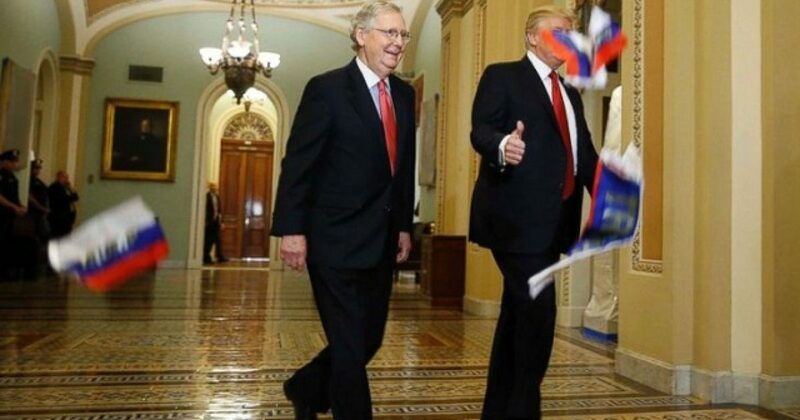 Clayton took action in the White House by shouting “Trump is Treason” and throwing pieces of a Russian flag at Trump and Senate Majority Leader Mitch McConnell. Instead, Clayton was taken into custody and later charged with unlawful conduct. Although the President wasn’t injured, the incident raises quite a few concerns. The immediate question is just how did Clayton get so close? Fox News Congressional correspondent Chad Pergram noted this security breach as well. Pergram went on to say that the authorities noted this as well. Supposedly, Clayton gained access using a bad ID badge. He made it all the way to an area dubbed “super secure”. And you can bet that if Clayton looked like a radical Muslim access would have been that much easier. The ease at which Clayton got access makes some people wonder if he had help? Of course he had help. The DNC likely got the Russians to get him the fake ID. And don’t be surprised to learn that the Russians make them in an office inside Chuck Schumer’s compound in the Hart Building. Rumors swirling around DC question whether Senator Corker had any involvement in this anti-Trump display. Corker is the most outspoken establishment Republican to publically attack the President. Corker recently made headlines with his own anti-Trump rhetoric. Shortly thereafter, Corker announced he will not seek reelection. Sanders also pointed out that Corker likely wouldn’t win reelection after his recent public comments. Although I’m guessing Corker’s involvement in Clayton’s protest is just the DC rumor mill, it’s certainly possible. A Senator opposing Trump might be willing to facilitate a high profile protest. Clayton believes his protest was a big success. And not surprising, his group is calling him a hero after the escapade. According to the group’s website, they have three main goals. 1. Restore free and fair elections in America by creating a separation of wealth and state, guaranteeing the freedom to vote, and ensuring every vote cast gets counted. Unfortunately, this group is misguided, but what else is new. President Trump works diligently towards each of those goals, unlike his predecessor. 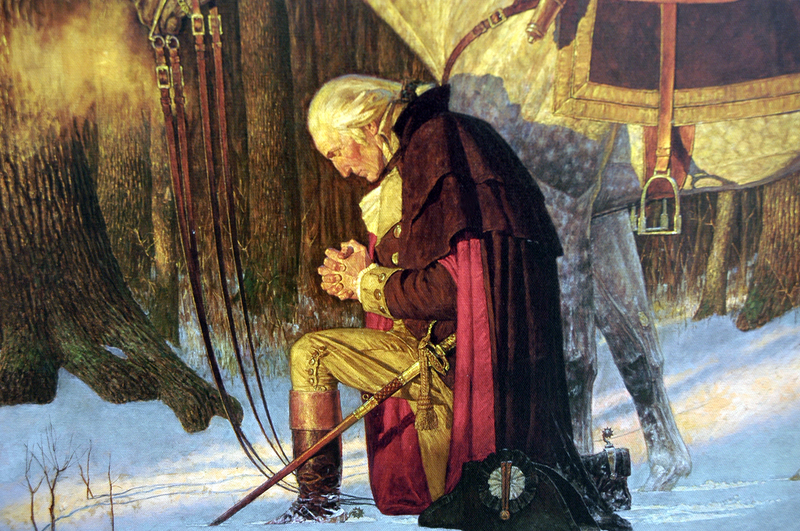 Regarding voter fraud, nobody has been more vigilant against voter fraud. The president has been more vocal in getting the voter roles in order than almost anybody. Leftists who condone voter fraud look for ways to cheat at elections, and deny the problem exists. And the best way to make people productive in society is by getting them jobs. The president has created 1.7 million of them in less than a year. At this time in his presidency, Obama had lost almost 5 million jobs. Clayton is the typical Leftists patsy. He’s been fed talking points, force fed the narrative. He will one day be some Leftists foie gras. He and many other Leftists were told to promote the Russian narrative, thus the tattered flag. And Leftists do what they’re told…or the money stops. What will Clayton do when he learns the truth? He will deny the existence of truth, and cling to his ideals. Anything less would mean he would have to actually think.